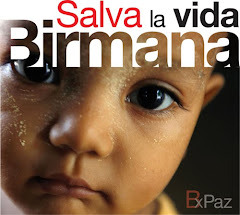 Birmania por la Paz -Birmania per la Pau- Birmania Bakearen Alde- Burma Campaign Spain- TBBC: ¿Es Yettawa parte del Pacto de los Generales Birmanos? ¿Es Yettawa parte del Pacto de los Generales Birmanos? There is growing doubt among Burmese observers that the bizarre case of an American intruder who managed to enter the highly restricted property of democratic opposition leader Aung San Suu Kyi was the work of one misguided individual. The incident involving John William Yettaw, an American national who allegedly wanted to interview Suu Kyi for a book he was writing, has resulted not only in his arrest, but also that of Suu Kyi herself, as well as her two live-in assistants and her doctor. The arrests come less than two weeks before the democracy icon was due to be released after serving six under house arrest. Like Ngwe Lin, many Burmese are questioning the circumstances surrounding Suu Kyi’s latest brush with the ruling junta’s draconian laws. Many have expressed surprise at how easily Yettaw was able to enter her residential compound, which is one of the most tightly restricted properties in the country. Aung Lin Htut, a former military intelligence officer and deputy ambassador to the US who is currently living in Washington, said that it was unlikely that Yettaw simply outwitted security personnel by swimming to Suu Kyi’s lakeside home. The strange case of the Inya Lake swimmer first attracted attention on May 7, when it was reported by The New Light of Myanmar. The state-run newspaper identified Yettaw as “John Willian [sic] Yeattaw,” and claimed that he had been arrested on the morning of May 5 as he was swimming away from Suu Kyi’s home. Although the regime has made no official mention of the incident, the story was quickly picked up by junta-friendly blogs set up by the Ministry of Information, which claimed that Suu Kyi now faced up to five years imprisonment for violating the restriction order under which she was placed in detention. Burmese opposition groups were quick to denounce this move to extend Suu Kyi’s incarceration. “It is nothing more than a political ploy to hoodwink the international community so that they can keep Daw Aung San Suu Kyi under lock and key while the military maneuvers its way to election victory in 2010,” said Dr Sein Win, a cousin of Suu Kyi and the prime minister of the Washington-based National Coalition Government of the Union of Burma, which describes itself as the country’s government-in-exile. Another suspicious aspect of this whole episode is the fact that Suu Kyi’s doctor, Dr Tin Myo Win, was also taken into custody shortly after Yettaw’s arrest. As her personal physician, Tin Myo Win is one of the few people who have regular access to Suu Kyi. According to opposition sources, Yettaw told them he had made an unsuccessful attempt to enter Suu Kyi’s compound during a trip to Rangoon that lasted from November 7 to December 3, 2008. Sometime after that incident, Suu Kyi asked Tin Myo Win to inform the authorities about it on her behalf. The physician duly reported the attempted illegal entry to the Police Special Branch, but no action was taken. “By arresting Tin Myo Win, the military authorities tried to stop him from spreading the information about Yettaw’s previous efforts to break in,” said a Rangoon-based observer. Now everyone is trying to figure out who John William Yettaw, 53, of Falcon, Missouri, really is, and what motivated him to undertake a stunt that has attracted worldwide attention. 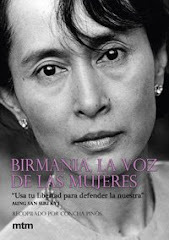 According to an Associated Press report, Betty Yettaw, his wife, said that he simply wanted to talk to Suu Kyi as part of his research on forgiveness and resilience. She said her husband is “not political at all,” but interested in how people deal with stress and abuse of all sorts. But while it’s entirely plausible that a determined, if misguided, individual might attempt to circumvent the tight security measures surrounding the world’s most famous political prisoner, it is highly unlikely that he would have succeeded without a helping hand. Opposition sources on the Thai-Burmese border who met him prior to his latest trip to Rangoon say that he was not one to be dissuaded easily from carrying out his foolhardy plan. However, they add that he probably also came into contact with some who actually encouraged him to go through with it. It may take some time to put all the pieces together, but conspiracy theories suggesting that Yettaw’s “mission” was somehow orchestrated by the Burmese regime are not completely unfounded. We know that the authorities were aware of Yettaw’s earlier attempt to meet Suu Kyi, and that it would not have been difficult for border-based agents of the regime to send him astray with assurances that Suu Kyi was ready to meet him this time. The only way we will ever uncover the truth is if the junta allows all concerned to reveal what they know. But if one thing is certain, it is that the regime has no interest in any version of this story that doesn’t end with Suu Kyi behind bars.